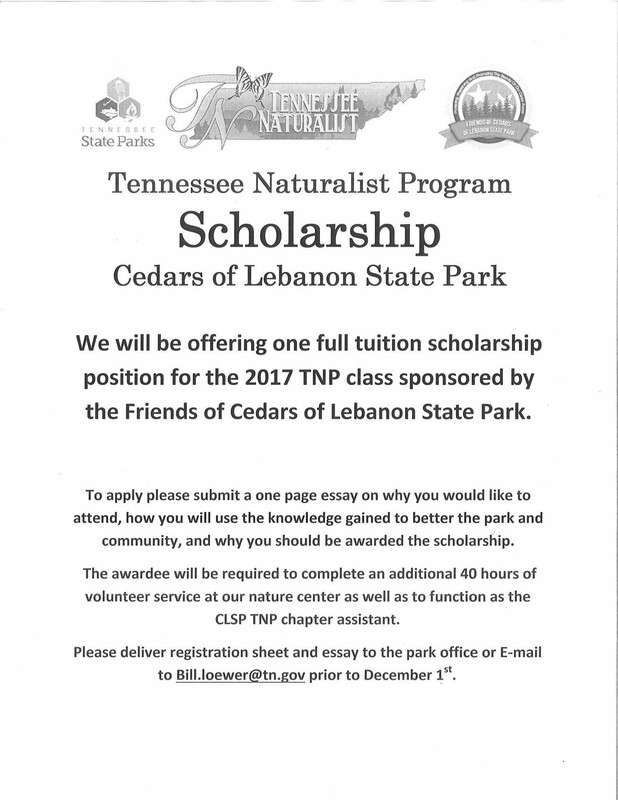 The Friends of Cedars of Lebanon State Park is excited to offer one full tuition scholarship for the upcoming 2017 TN Naturalist Program class at Cedars of Lebanon State Park. If you or anyone you know is interested in taking the course but are not sure you can afford the fee, here is an opportunity for a free ride. For details see the flyer below. If you have questions, please contact Ranger Bill Loewer at the email address provided on the flyer. Feel free to share. 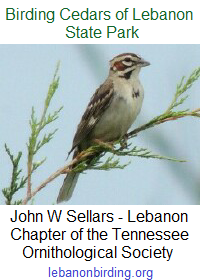 This entry was posted in Announcement, Public Notice, Tennessee Naturalist and tagged Cedars of Lebanon State Park, friends of cedars of lebanon, Lebanon TN, Tennessee Naturalist Program. Bookmark the permalink.